A unified management platform for storing, retrieving, and reviewing X-ray images from multiple systems in one location. Rapiscan® Systems’ state-of-the-art Network Image Archive Review (NETView) solution provides a unified management platform for storing, retrieving, and reviewing the X-ray images from multiple scanners in a centralized location. 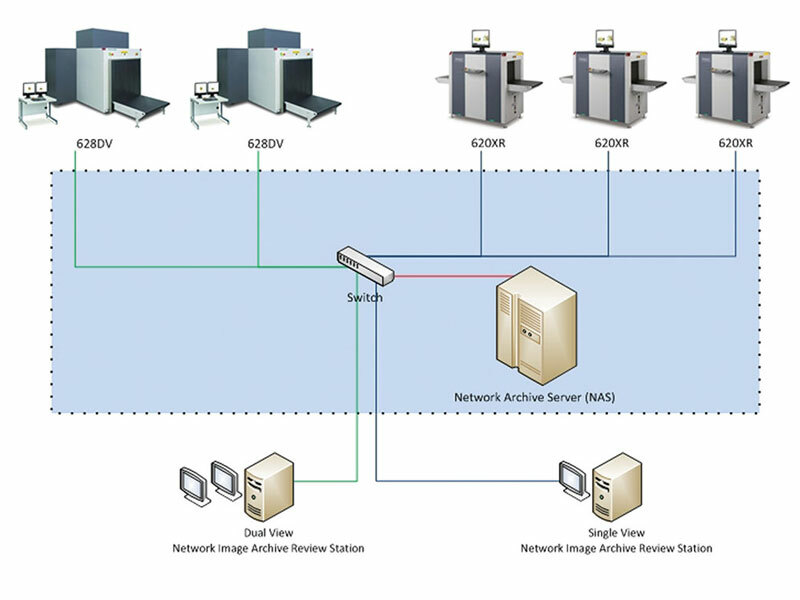 Designed to integrate multiple our baggage and parcel inspection screening (BPI) systems, NETView allows the X-ray images generated by the many networked scanners, to be archived in a single Network Archive Storage (NAS) server. Allowing for the collective archiving of images from a variety of BPI systems, including single and dual view scanners with various tunnel sizes, NETView allows image retrieval, review, processing, manipulation as well as image printing and export from a single operator NETView station. The NETView station includes the same familiar and matching tools, software and user interface as Rapiscan® Systems' standard tools available on a standalone scanner for image processing, manipulation and review, ensuring consistency and no need for additional knowledge acquisition by users. With NETView, all images are copied onto the NAS server from all scanners connected to the same network in real time. The NETView configuration allows an authorized user at the to retrieve and centrally review three types of archived images: Manual Archived Images, Automatic Archived Images and Missed Archived Threat Image Projection (TIP) Images. Upon successful login at the NETView station, a dialog filter window allows the user to select the desired archived images for viewing, based on a variety of criteria, such as operator ID, site, date, specific scanner model or serial number.